What are the chances of meeting two epic blokes who race some of the meanest and fastest machines on the planet? That too on the same day, under the same roof and in your hometown. Chances are, not very great, is it? Well, we were invited to The Lalit, near Mumbai’s Chhatrapati Shivaji international airport. The event was coined ‘Meet The Champions!’ and was organised by Gulf Oil Lubricants. And guess what? We did meet the two champions and some wicked machines. We met the champions, wish we could meet their champ mobiles, too. Firstly, don’t let the name fool you. Gulf Oil isn’t from the Gulf region, at all. It was originally called Gulf Oil Corporation (GOC) and was founded in 1901. GOC had its headquarters in Pittsburgh, USA and eventually went kaput in 1984. But, in those eight decades or so, GOC made a granite reputation for quality, innovation and several industry firsts. 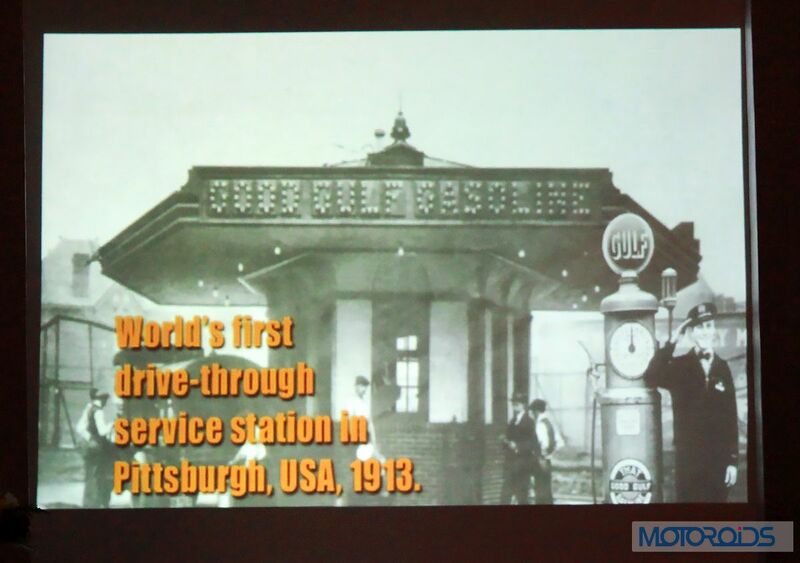 It’s 1913 and these guys already had a drive-through service station. Of course, a drive-through service station wasn’t the only thing GOC was known for. 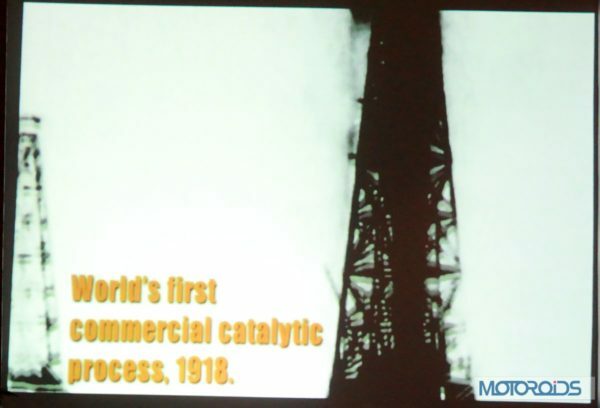 Then there was..
… Yep, the first ever commercial catalytic process, This was in 1918. … It wasn’t called Gulfpride for no reason. The finest motor oil happened in 1928. So it is pretty clear that Gulf Oil had taken some great strides in oil tech and the company, indeed were the firsts for many things. 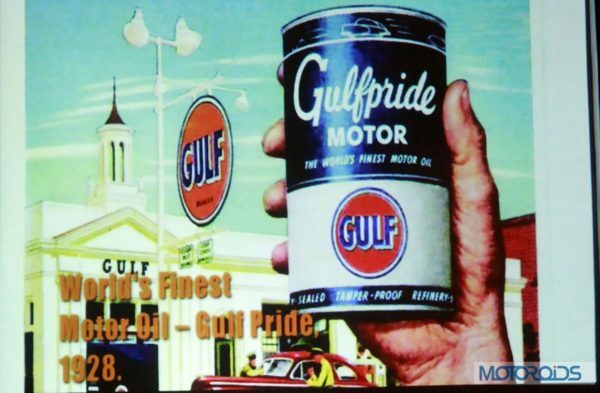 Also, Gulf Oil has been part of the motor racing community for a long time, now. Its five decade long past, has witnessed its oil and lubricants forming the crux of major automotive racing victories, especially in the challenging atmosphere of the 24-hour long Le Mans endurance racing. Gulf Oil sponsored teams at Le Mans have won the coveted endurance race titles in 1968, 1969 and 1975. The company scored another victory in the 2001 European Le Mans series, when a company sponsored Audi R8 took away the Driver and Team Class Championships trophy. 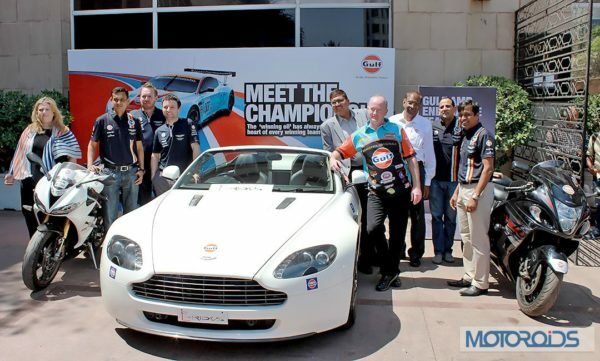 However, 2008 and onwards, Gulf Oil has formed a new partnership, this time with the Aston Martin Racing team. Again, this partnership proved fruitful for both companies, as they won the 2014 World Endurance Championship in the GTE AM category. Representing Aston Martin Racing team at this event, was the company’s star racing driver Darren Turner. 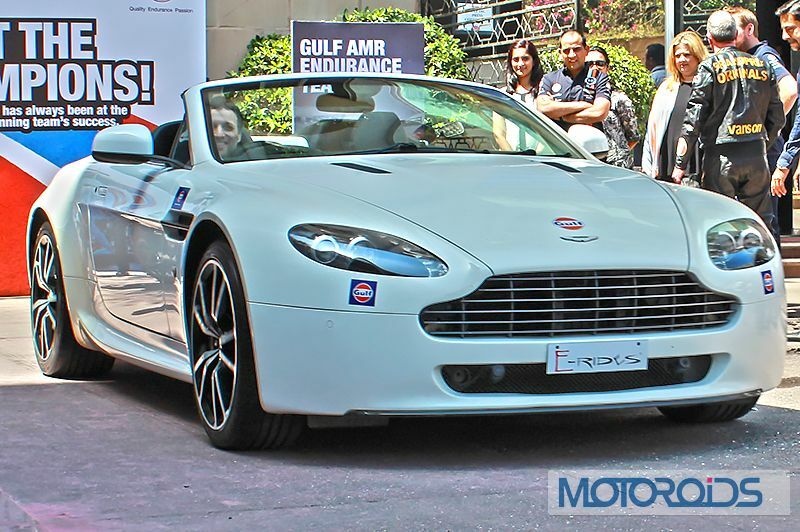 He was tagged by Warren Jones, who is Aston Racing’s Technical Partner Manager. 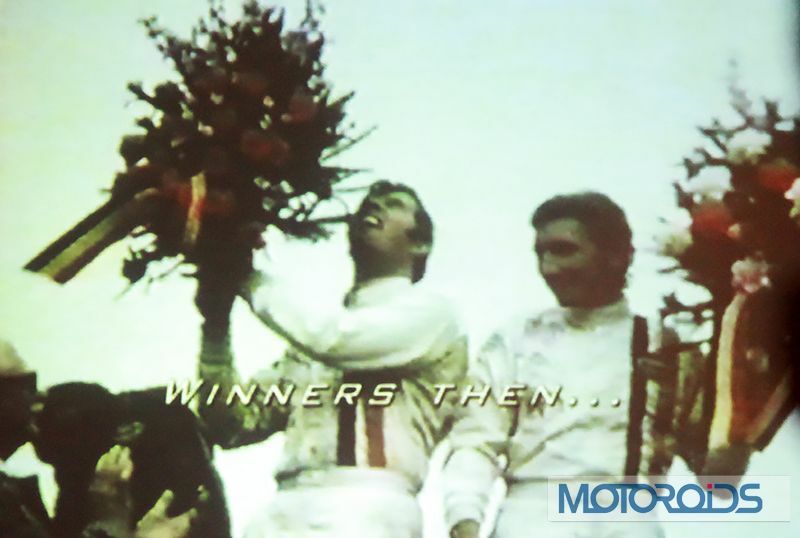 Le Man victories from the ’60s by Gulf’s partner teams. 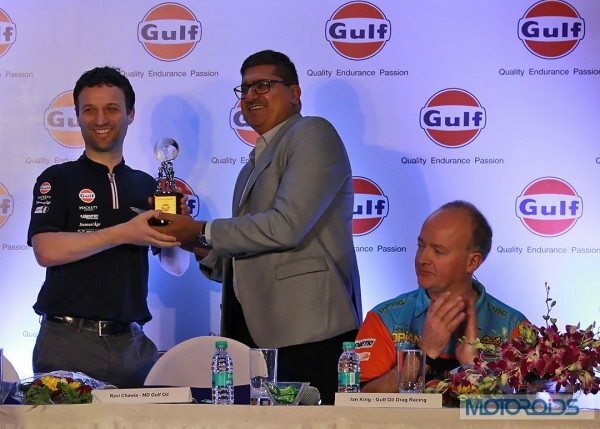 Gulf Oil also lends its hands to two-wheeler motorsports. In India, the company hosts several unique biking events which include the plucky Monsoon Scooter rally, Dirt Track Racing and Super-Cross. There is also a Gulf Foster A Child Car Drive. Talking of motorcycles, Gulf Oil colours can also be seen in the explosive world of Top Fuel bike drag racing. 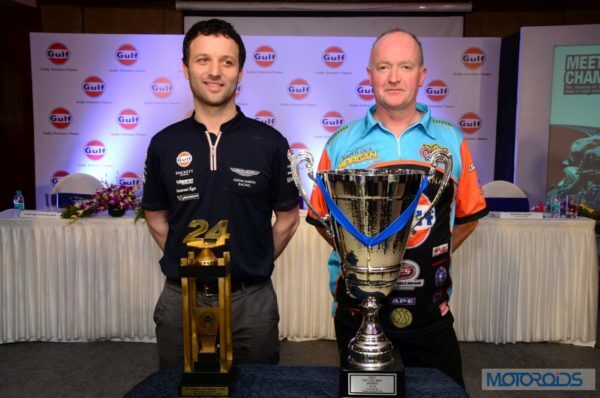 The Gulf Oil team lead by European Top Fuel champion Ian King, is the most coveted and successful Drag team in all of Europe. 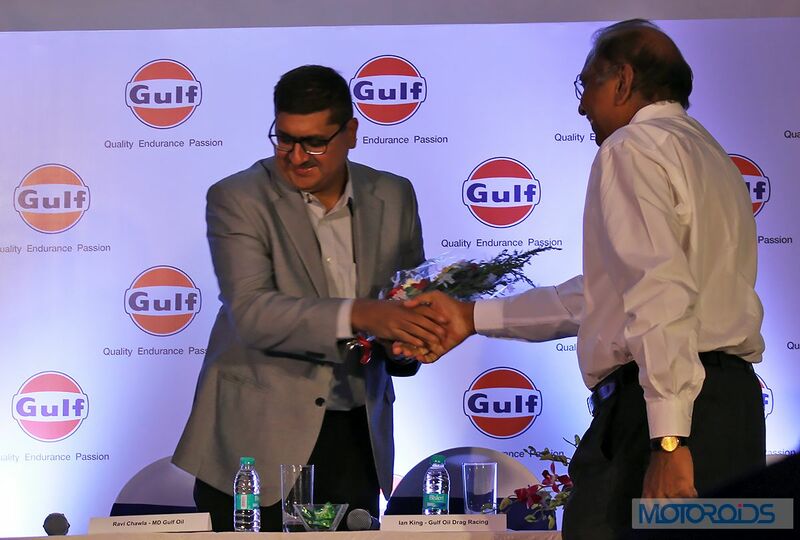 Ravi Chawla (left) – MD of Gulf Oil Lubricants India Ltd. Joining Chawla at the event was Caroline Parker from the UK. 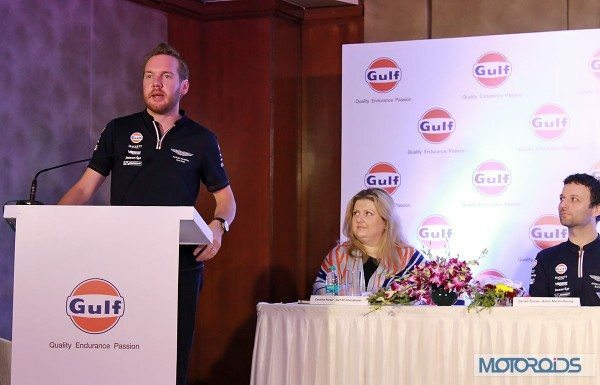 Parker is the Global Brand and Marketing Manager at Gulf Oil International Group. 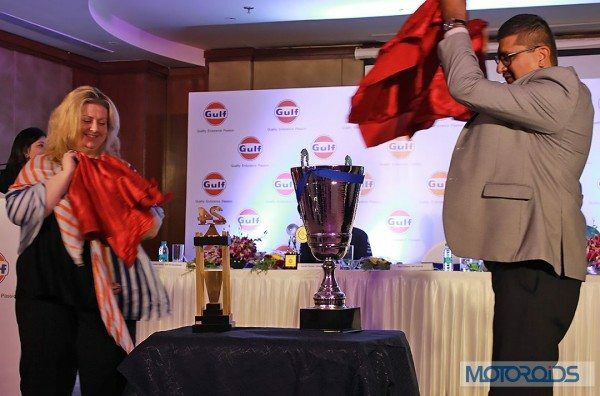 Gulf Oil Lubricants India Ltd., manufactures 400 performance lubricants and correlated products. Gulf Oil Lubricants India Ltd. (GOLIL) and Gulf Oil International are part of the $18 billion Hinduja Group, with Ravi Chawla acting as the Managing Director of GOLIL. The company’s Indian product portfolio includes automobile lubricants, batteries for two-wheelers, filters used in automobiles and several lubricating tools. Gulf Oil has forged partnerships with Ford, Audi, Porsche and now, Aston Martin. Talking of which, it’s time to talk about the Aston Martin Racing team and a brief introduction about Darren Turner. Darren’s swag face for the cameras. 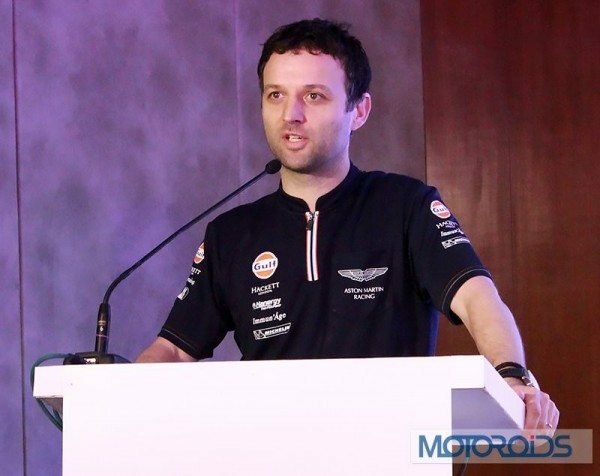 Darren Turner is a 40 year-old British racing driver and an integral part of the Aston Martin Racing (AMR) team. He has been racing Gulf Oil sponsored Aston Martin DBR9 and the Vantage GTE (Grand Touring Endurance). The GTE class of cars by AMR were earlier called GT2 (Grand Touring 2) cars. Turner and AMR have been taking part in some of the most difficult and grueling motorsport events known to man, the 24-hour Le Mans endurance racing. Le Mans races can be 6, 12 or 24 hours long and each driver is allowed only 2 hours behind the wheel, before handing over the keys to a fellow team driver. These races are infamous for challenging the limits of man and machine and the winner takes it all. Darren Turner has proved his mettle at Le Mans and has won the 24 hour test of endurance two times. Darren Turner gets felicitated by Ravi Chawla. Gulf Oil partnered with AMR in 2008 and the Aston Martin DBR9 and took his second victory at the 24 hour Le mans, the first one being in 2007. Turner is to take part in the 24 hour Le Mans this year, making it his 13th appearance in the endurance racing scene. The English driver was accompanied by one of his team’s fellow technical managers, Warren Jones. Turner talking about Endurance racing. 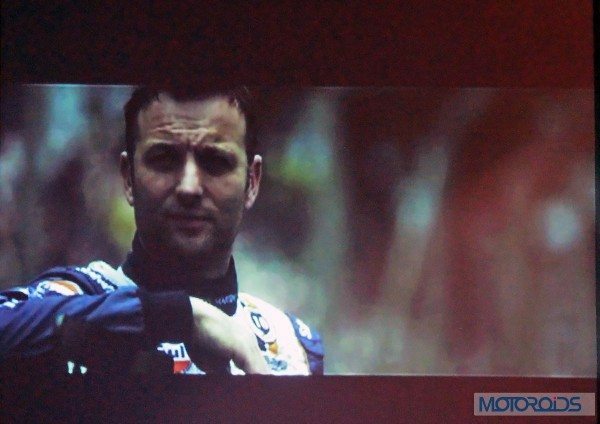 Warren Jones talks about the technical challenges of Endurance racing. We were lucky to have a short chat with Turner and Jones and asked the latter to explain some of the challenges faced by the driver of such races. Ian King gets his warm welcome. Eight time European Top Fuel champion Ian King, is a man who goes from nought to 100 km/h in under a second and lives in a world full of nitromethane fuel and 1500 horsepower monstrous engines. King holds two back-t0-back championship titles, two British and one Irish. He holds several speed and time records throughout Europe and is the only Englishman to do the quarter-mile in a shade over 5 seconds! King has garnered a total of 8 victories at the Fédération Internationale de Motocyclisme (FIM) European Championships. His bike has a custom-built Puma engine with 4-cylinders and a displacement of 1584cc. However, thanks to nitromethane, this engine chucks out a scarcely believable 1500 horsepower and can rocket him to 400 km/h (250 mph) in under 6 seconds! And yes, his bike is faster than your supercar. Heck, it’s faster than a Formula 1 car! That’s 0-400 km/h in 6 seconds! Absolutely bonkers! 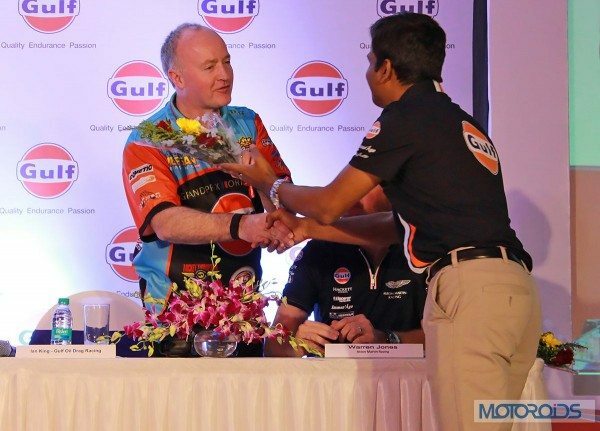 Ian King has been operating his team under the Gulf Oil banner for four years, now. King went on to say, “It was a great honour to be felicitated by Gulf Oil in India. In terms of delivering heart-stopping adrenalin rush, drag racing is one of the biggest motorsport and provides top of the line performance with high dosage of excitement. 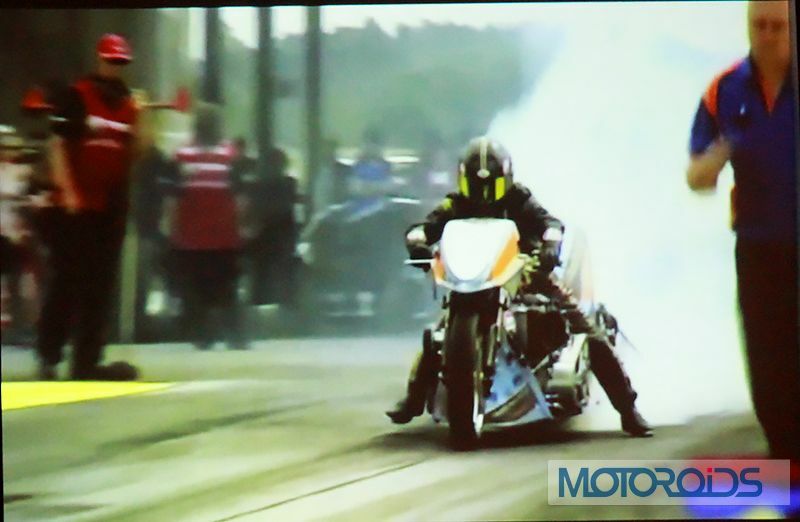 The 1500 horsepower Gulf Racing Top Fuel Motorcycle, capable of accelerating from 0 – 250 mph (that is 402+ kmph!) in under six seconds.” And we agree with the Euro champ on the adrenaline part, completely. If you accelerate at that rate, your inner organs would be pushed to the back of your body and they will be pushed forward, again when the parachute pops out. To stop these bikes from flying into air at the start, the speed machines come fitted with a wheelie bar, whose job is to prevent wheelies. Also, these bikes come with a rear tyre that is 14-inches wide! King and his crazy 1500 horsepower bike. Something you should know about the European drag champion, he doesn’t believe F1 racing to be as good as other motorsports. Now, he says he likes the sport a lot, for its technology, its money etc. However, according to King, its the money in F1 that draws people to it and not the sport in itself. As he said, the wow! factor in drag racing is far higher than in Formula 1. Just to be clear, we love all forms of motor racing, regardless of its background. But, yes, drag racing is a spectacularly thrilling and deafening sport. 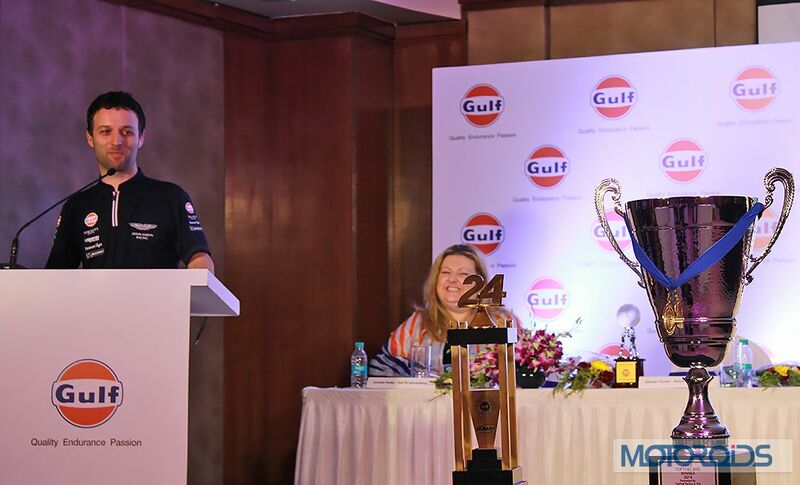 Caroline Parker and Ravi Chawla unveil world championship trophies of the racers. 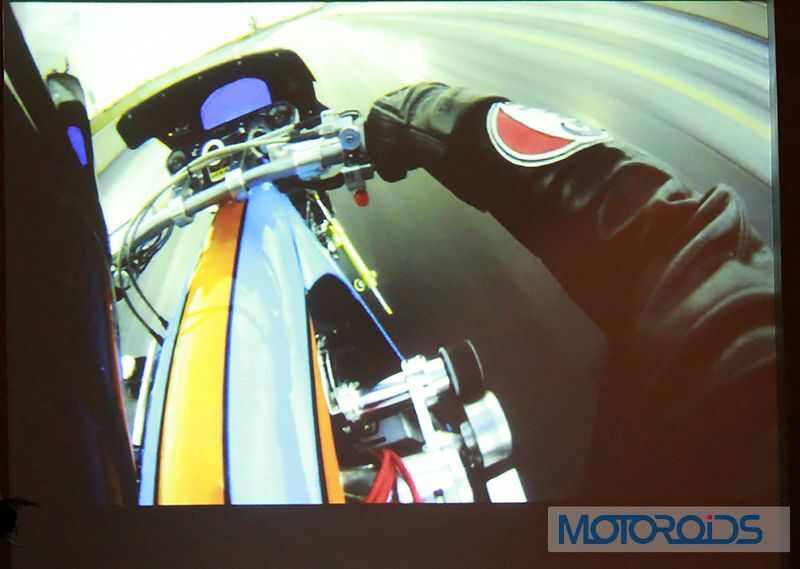 Ian King talks about drag racing and the speeds of his bike. Turner jokes about the size of his trophy (one on the left). Much to everyone’s’ amusement. The champions with their respective trophies. 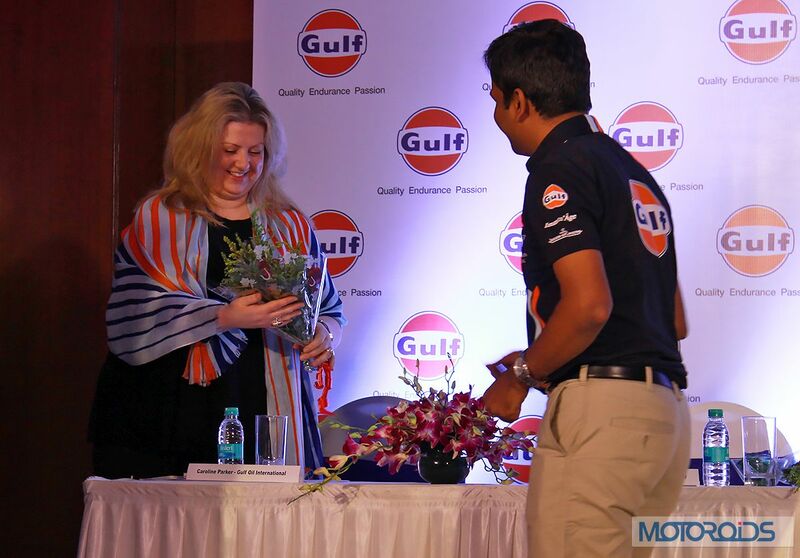 Gulf Oil had arranged for some fine meal for the guest, which was scrumptious. However, something even more tasty was about to come our way, before the food. 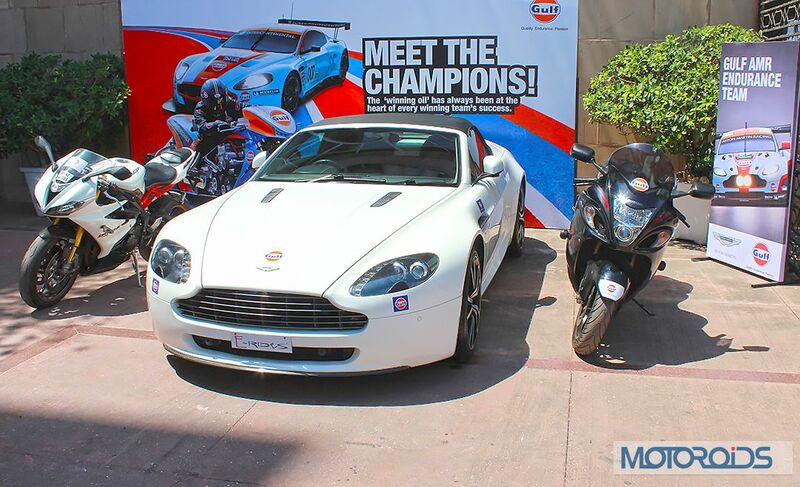 Prior to entering the event hall, we saw three delicious automobiles parked under the hot afternoon sun. 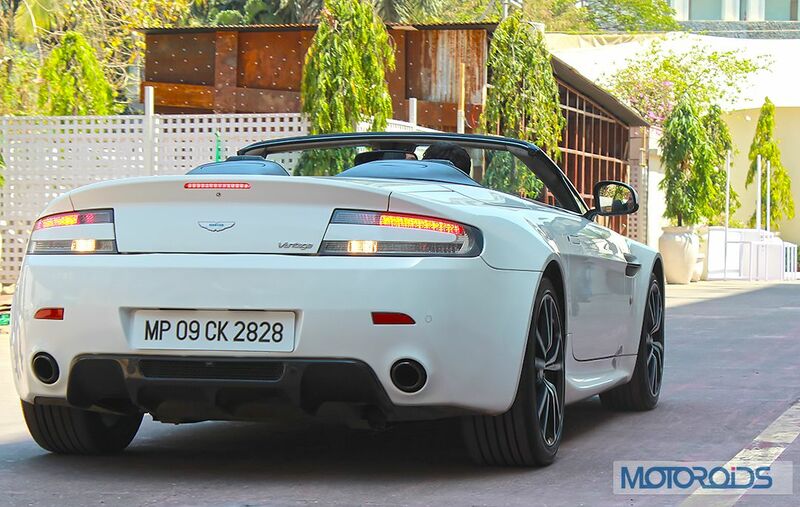 There was a Suzuki Hayabusa, a Daytona 675R and an Aston Martin Vantage Convertible. Yummy! Wish we could take them for a short spin. Two of these three exoticas, were to dance to the tunes of Turner and King. That latter’s part turned out to be a thrilling spectacle for everyone at the event. Much to the delight of everyone involved, Ian King put on his leathers and helmet, intending to charm the audience with a little twist of his right hand. Yes, the smell of burning rubber was intoxicating and eye-burning. The burnout lasted for an eternity, much to everyone’s amazement. 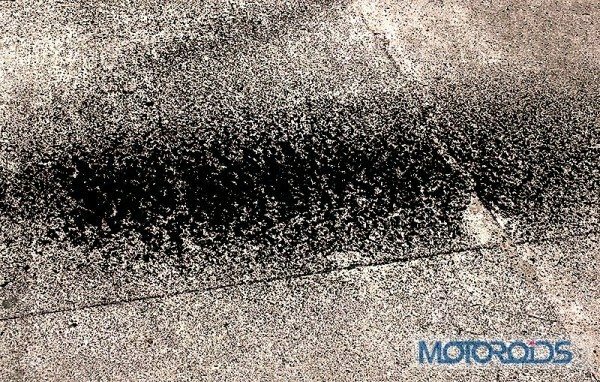 After his easy stint on the superbike, Ian King had produced enough smoke and burnt enough rubber to satisfy even the most hard to please, motoring enthusiast. The result of that burnout was…. … A properly worn out rear tyre. This one was worth around Rs. 45,000. 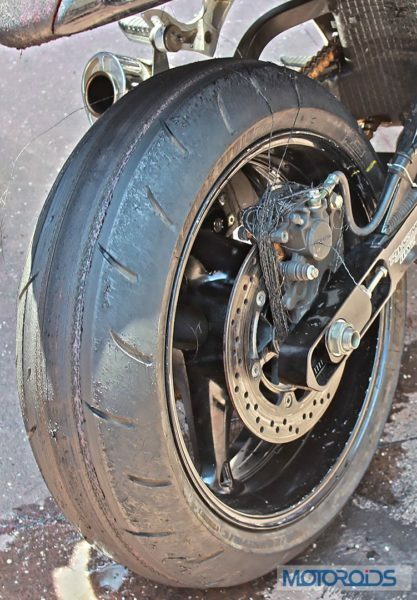 That’s some hot and sticky rubber. 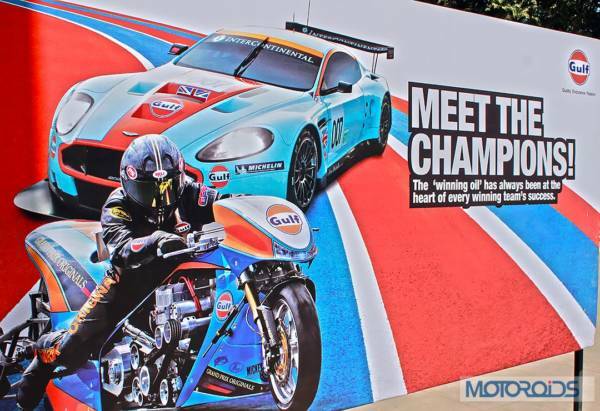 After King’s spectacular showdown, next in turn was Aston Martin Racing’s Darren Turner. However, what followed was just something a bit too mundane, especially for the 40 year-old British Le Mans champion. He revved the nuts off the V8 in the Aston, but then just drove forward for a bit and then reversed the convertible back into its original spot. Not that exciting, we must say. … starts reversing. This wasn’t scintillating, unfortunately. 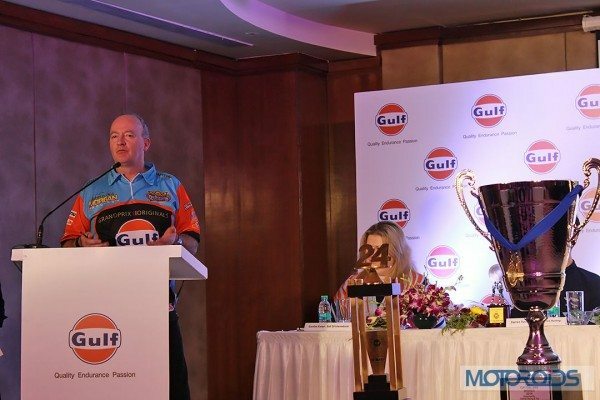 But, before the champs could entertain the eager crowd, it was time for them and folks from Gulf Oil to pose for the cameras. Chawla assured everyone that there will more action in the future. Dragsters, coming? 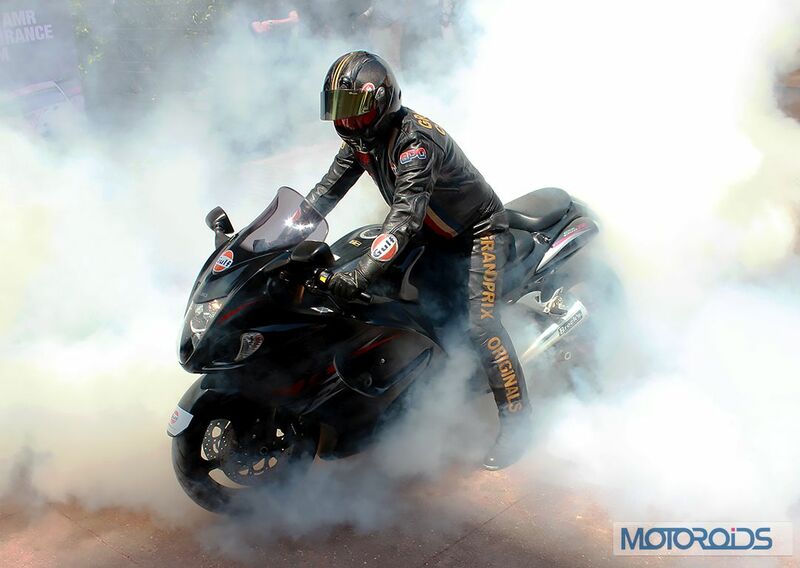 We certainly can’t wait for drag racing to touchdown and set the Indian soil, ablaze. Of course, dedicated race tracks or drag strips, as they are called, will take time to be built. However, we certainly would like to see some of those quarter-mile strips and nitromethane-fueled dragsters belting down them.